In case any of you are waited with bated breath for the latest installment in the Plotzker Sukkah Saga: Rich and I got the sukkah up Sunday afternoon, a full three days early! Same Tinker Toy design as last year’s for the frame. This year, I bought a rabbinically approved bamboo mat for the s’chach (the greens on top. I don’t know why, but I enjoy saying “s’chach.” Guttural ch. Try it: S’chach s’chach s’chach). Before, I was using corn stalks and cut vegetation from our yard. It looked nice but was a pain to obtain and maintain. I still have to put up the decorations. There was no opportunity yesterday, it rained today and it’s supposed to storm tonight. I’ll do it tomorrow. This year’s splinter came from the new bamboo s’chach. The Torah readings for the first two days of Sukkot are identical: Leviticus 22:26-23:44, mainly about how to observe the Sabbath, Rosh Chodesh, soft-pedalling the sacrifices; and Numbers 29:12-16, just about the sacrifices. Not very exciting. In fact, for his Bar Mitzvah d’var Torah on the first day of the holiday15(!) years ago, my son focused instead on verses Lev. 22:26-28, about letting a newborn animal stay with its mother at least 7 days before sacrificing it and not slaughtering mother and young on the same day. The haftarah on Day 1 is Zechariah 14:1 – 21, a vision of the eventual “day of the Lord”. On the second day, we read about the dedication of the First Temple in I Kings 8:2-21. The next day: Shabbat Chol HaMoed, with Torah readings Exodus 33:12 – 34:26 (Moses sees God’s back and carves the second set of tablets) & Numbers 29:17-22 (sacrifices, of course), and haftarah Ezekiel 38:18-39:16 (apocalyptic vision of the war of Gog and Magog). It is also traditional to read the book of Ecclesiastes (“Kohelet”), supposedly written by Solomon in his old age and something of a downer. But hey, do we care that much about the Torah readings? This is a holiday when we can actually have some fun, shaking and processing with lulav and etrog, building and decorating the sukkah (kind of like decorating a Christmas tree in terms of fun), eating in at least one sukkah, maybe sleeping in it, and socializing. Published October 07, 2014, issue of October 10, 2014. Seen one sukkah, seen ’em all — or so Rain Chan-Kalin thought. The 20-something project designer at Berkeley design/build firm Friedman Brueggemeyer grew up around garden-variety sukkahs and describes them as if she’s reciting a recipe for a not-especially-delicious meal: “three walls, maybe part of a fourth; some sort of plastic sheeting or fabric; reeds on top.” Hardly stimulating stuff. But when, out of curiosity, Chan-Kalin researched the halakhic rules for sukkah-building, she was surprised to learn how uncircumscribed they are. The opportunity to do that presented itself earlier this year when Chan-Kalin discovered SukkahPDX, a design competition put on by the Oregon Jewish Museum and Center for Holocaust Education. The contest, now in its third year, invites “designers, artists and makers of all backgrounds” to submit proposals that explore these ancient structures from a contemporary perspective. 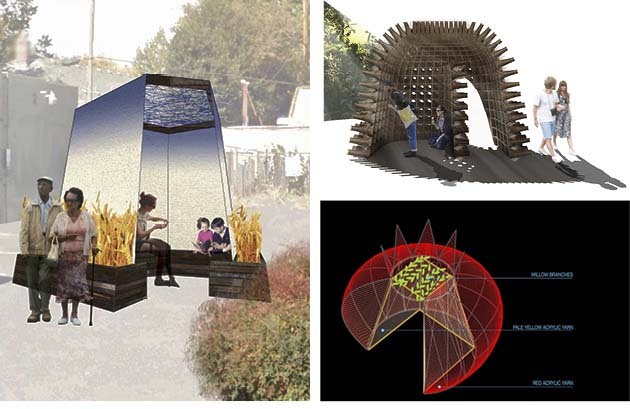 Not Your Ancestors’ Sukkah: Among this year’s finalists were designs by Friedman-Bruggemeyer Design Build; a team of Berkeley architecture students; and the Eugene-based team of Yulia Dimitrova-Ilieva and Petar Iliev, who based their design on a pomegranate. – You turn off your bug zapper on Friday night. – You know how to play Hava Nagila and Hatikva on the banjo. – “Larry the Mohel Guy” ‘nuff said. – Your yarmulke says “John Deere” or “NASCAR” on it, or has fishing lures stuck in it. – Your tallis is made from camouflage cloth. – Your synagogue used to have wheels, but now it’s up on blocks. 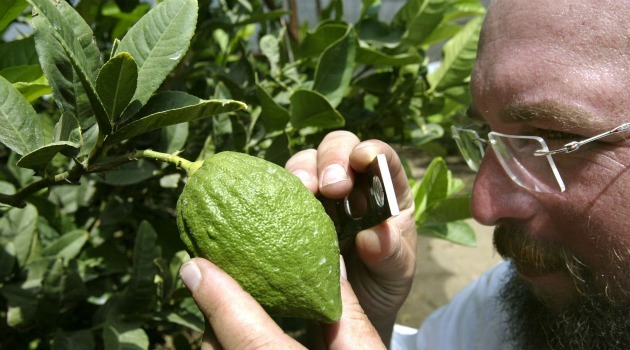 Examining The Etrog: Only in the Mishnah, redacted by the early rabbis in the third century C.E., do we first find the so-called ‘goodly fruit’ designated the etrog or citron. Published September 22, 2013, issue of September 27, 2013. Besides the sukkah itself, nothing is more associated with the holiday of Sukkot than the “four species” — the arba’a minim. These are the etrog or citron fruit; the lulav or palm shoot, and the willow and myrtle branches in which the base of the palm shoot is set before it is blessed and waved in the synagogue. This is strikingly at variance with a description in the fifth-century B.C.E. Nehemiah tells the Judeans to celebrate Sukkot in Jerusalem with “olive leaves, and oil tree leaves, and myrtle leaves, and palm leaves, and the leaves of an ets avot.” No fruit is on his list at all. 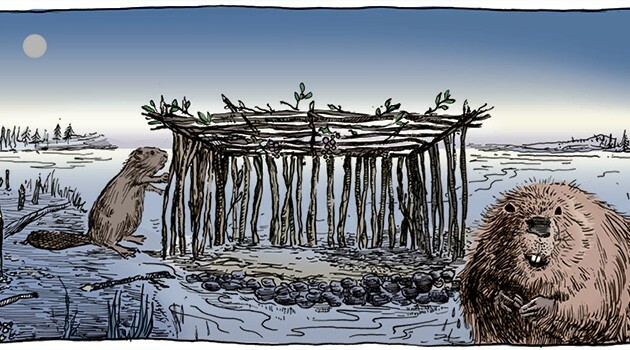 This is exactly how the third-and-second-century-B.C.E. Greek Septuagint, our oldest record of Jewish biblical interpretation, translates it. Presumably, it could have been anything ripening around Sukkot-time, such as dates, pomegranates or late figs. Only in the Mishnah, redacted by the early rabbis in the third century C.E., do we first find this fruit designated the etrog or citron. A native of East Asia, the citron may have arrived in Palestine after the period of the Septuagint. Not as beautiful to look at as the pomegranate, and inedible unless made into a conserve, it was chosen as “the goodly fruit” by the rabbis for its divine smell. At least there’s no dispute about the palm branch. Leviticus, Nehemiah, the Septuagint and the Mishnah all agree on it. Count me in, too. This entry was posted in Uncategorized and tagged etrog, Exodus, Ezekiel, Gog and Magog, I Kings, Jewish holidays, Leviticus, lulav, numbers, sacrifices, sukkah, Sukkot, Zechariah. Bookmark the permalink.